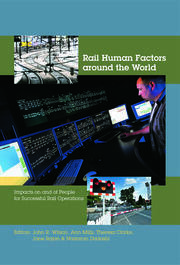 More and more the most traditional and typical applied ergonomics issues of the activities related to sea shipping, vehicle driving, and flying are required to deal with some emerging topics related to the growing automatism and manning reduction, the ICT’s advances and pervasiveness, and the new demographic and social phenomena, such as aging or multiculturalism. 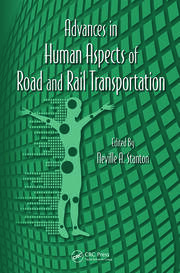 With contributions from expert researchers, professionals, and doctoral students from a wide number of countries such as Australia, Austria, Canada, Italy, Germany, the Netherlands, Norway, Sweden, UK and USA, this multi-contributed book will explore traditional and emerging topics of Human Factors centered around the maritime, road, rail, and aviation transportation domains. Maritime Workplaces and Safety in the Maritime Domain. Information and Human-Machine Interaction on Board. Human Diversity, Spatial Perception and Yacht Design. Introduction to the Rail Domain. Introduction to the Road Domain. Aviation Safety. Air Traffic Control Human Factors. 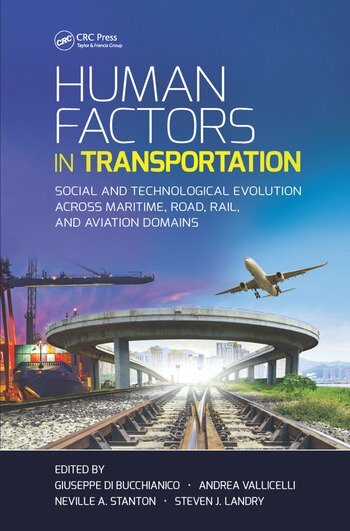 Aircraft Human Factors. Giuseppe Di Bucchianico and Andrea Vallicelli are affiliated with the University of Chieti-Pescara - Italy. 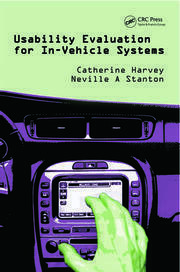 Neville A. Stanton is affiliated with the University of Southampton - UK.